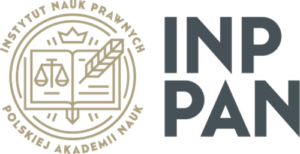 On 8th and 9th October 2018 the Polish Patent Office together with the Polish Academy of Sciences and the Polish Society for Intellectual Property and Competition Law will hold the conference titled „Rethinking patent law as an incentive to innovation”. The event will take place at the Warsaw University of Technology – in its Centre for Innovation and Technology Transfer Management. With this conference we also take the opportunity to celebrate the 100th anniversary of the first modern Polish patent statute and the establishment of the Polish Patent Office. We would be honoured if you could participate in this event. The conference is intended to be an international event. We hope it will bring together academics, practitioners and policy makers as well as representatives of various business sectors. The purpose of the conference is to discuss patent law’s primary function of stimulating innovation. The speakers will consider this issue from various perspectives. They will look at both – substantive and procedural law issues, such as patentable subject matter, the scope of patent protection as well as patent remedies and models of patent enforcement. The conference panels will be organised around specific sectors such as pharmaceuticals, agriculture as well as ICT. We would also like to look at the influence of AI on patent law. We very much hope that the conference will offer networking opportunities and foster vibrant debate among participants from all over the world. We would also like to use this event as an inspiration for further international patent conferences which we plan to organise in the future, possibly on annual basis. Conference admission is free of charge. In order to register, please complete the online form before 30 September 2018. You will receive confirmation within a few days of your registration. Further information is available at this website. We very much look forward to seeing you this October in Warsaw.